Today is an exciting day for us. We are announcing the start of a new product line, Cora. In 2007, we released our first Cmod (Carrier Module), introducing a small form factor product that could be breadboarded. 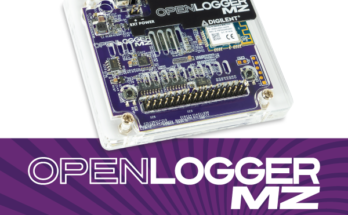 In 2012, we released our first maker-specific product line with chipKIT. These products had Arduino headers, mounting holes and robust power supplies. 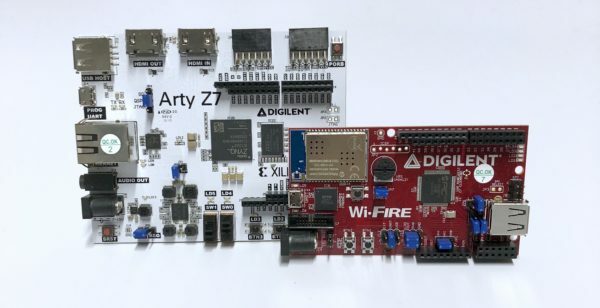 A few years later, in 2015, we introduced Arty, a maker/hobbyist FPGA product line that was 2.5 times larger, and combined high speed peripherals with additional Pmod ports. Within the first year of Arty coming into the market, we began receiving feedback from our customers that although they enjoyed the features of Arty… they felt Arty was closer to our larger, Digilent System boards (such as the Basys, Nexys and Genesys). There was interest in something that could lend itself more easily to prototyping, like the Cmod, but that was smaller than an Arty and closer to our microcontroller products (formerly known as chipKIT). After listening to this feedback, we developed Cora. Targeted at makers and hobbyists, Cora is cost-optimized and in a smaller form factor that is friendlier to prototyping. 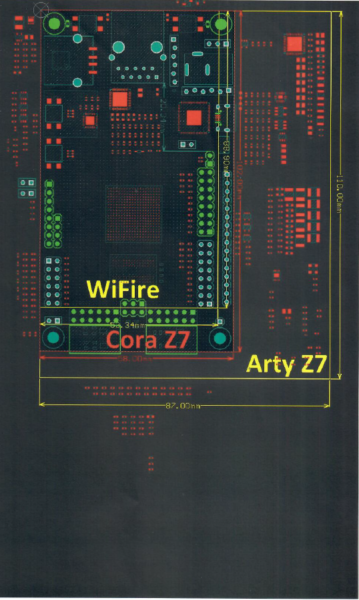 Cora is 50% smaller than the Arty Z7, and only slightly larger than the Wi-Fire board. Like the microcontroller product line, there are mounting holes and we’ve made the silkscreen the same color. 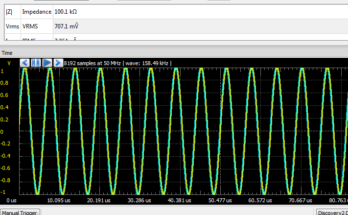 Like Arty, the Cora line has both Arduino chipKIT Headers and at least two Pmod Headers. One unique characteristic of Cora is the unpopulated I/O header pins. Unlike a Cmod (where unused I/O are not accessible) or a Basys board (the I/O pins are entirely pre-assigned and cannot be re-routed) Cora allows users to solder their own headers to access additional I/O outside of the provided expansion headers that the FPGA/Processor is capable of. The first board in the new Cora family is the Cora Z7! 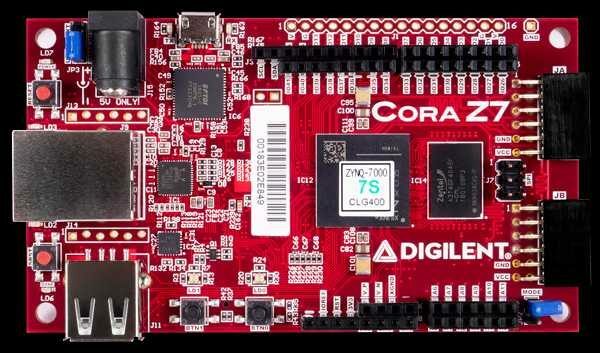 Cora Z7 is built around Xilinx’s powerful Zynq 7000 series. Zynq technology is an All Programmable System on Chip (APSoC) that combines an ARM processor with a Xilinx 7-series FPGA (think if a Rasbperry Pi and the Arty A7 board mashed together). 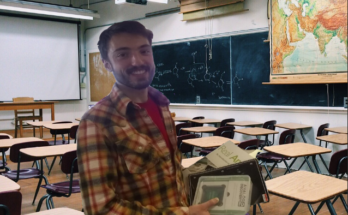 This combination allows hardware designers to get access to software resources (such as Linux and open-sourced tools) and software designers to get access to hardware configuration (for example if one needed to make a custom interface or more of a particular communication port). 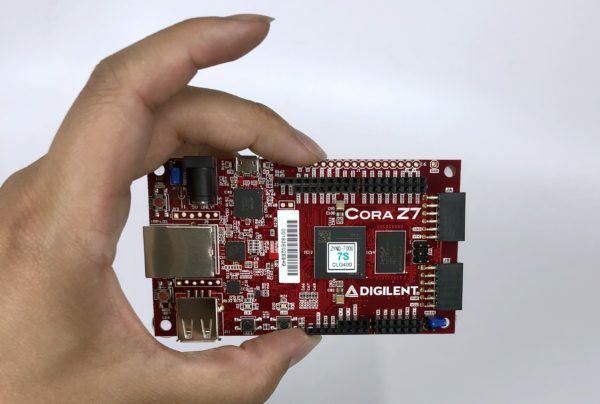 Like all Digilent boards, Cora Z7 will have base level project and a few demos to provide users experience designing with the board. These boards are also embedded Linux targets, and we provide a Peta-Linux project to get users up and running quickly. 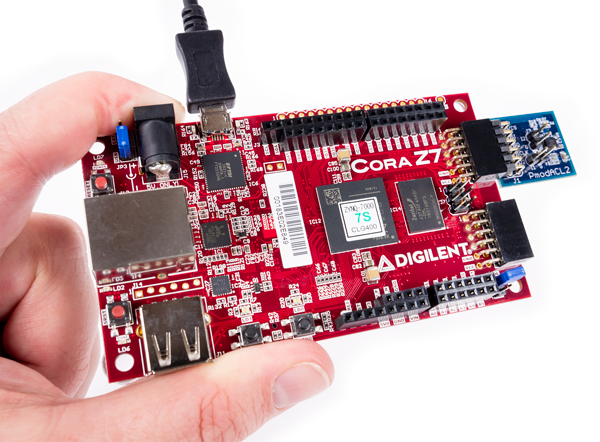 We are excited about introducing Cora as a product line, and releasing the lowest cost Digilent Zynq board! Check out the product page and if you have any questions, comment or find us on the forums! Is there an estimate when the Cora will be available? The expected release date is 6/25/2018!